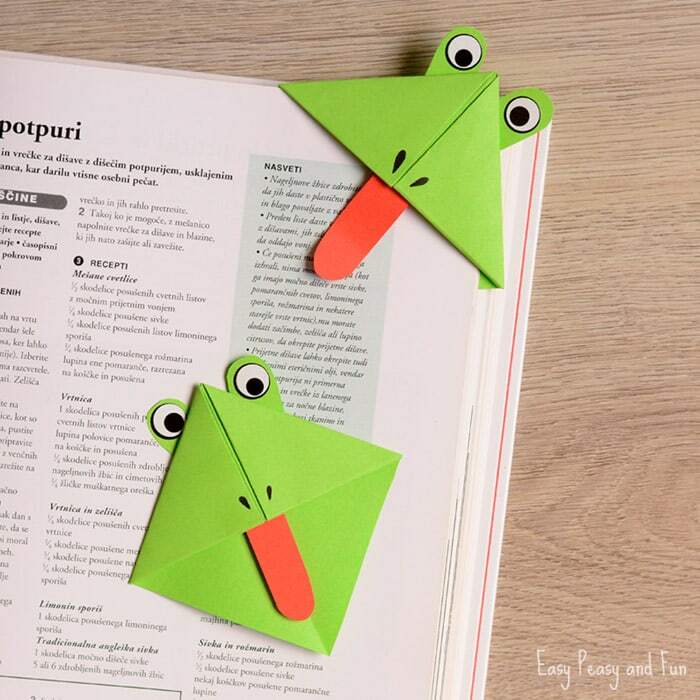 Hop hop, it’s time to make frog corner bookmarks. Aren’t these a silly bunch? 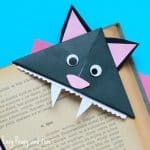 We love origami for kids at Easy Peasy and Fun and think that origami corner bookmarks are just the thing to get the kids started with the art of origami. 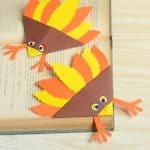 And if these encourage your kids to read more books you got yourself a win-win situation. 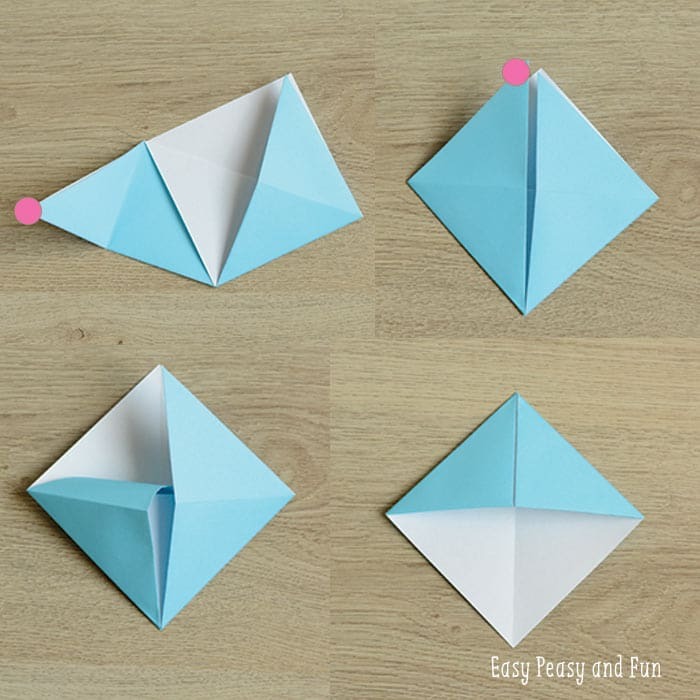 Fold the square paper diagonally (both sides). 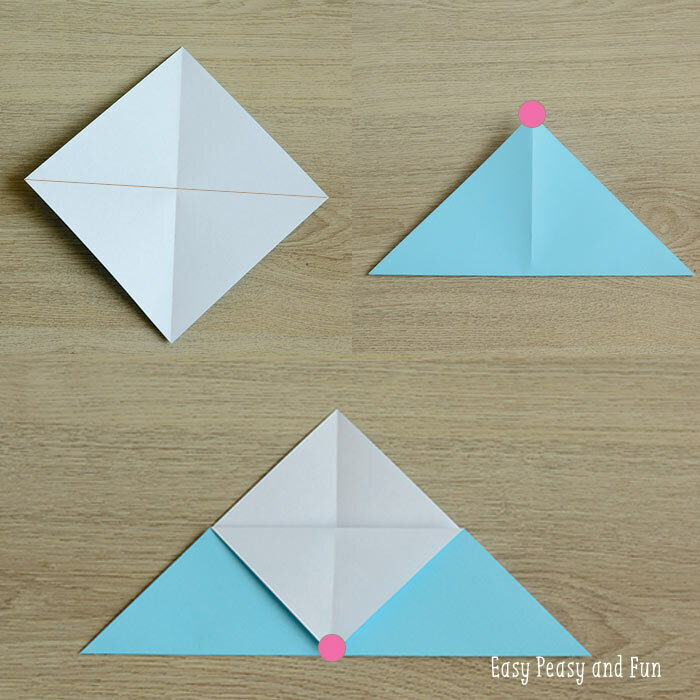 Fold into a triangle as shown on the picture. 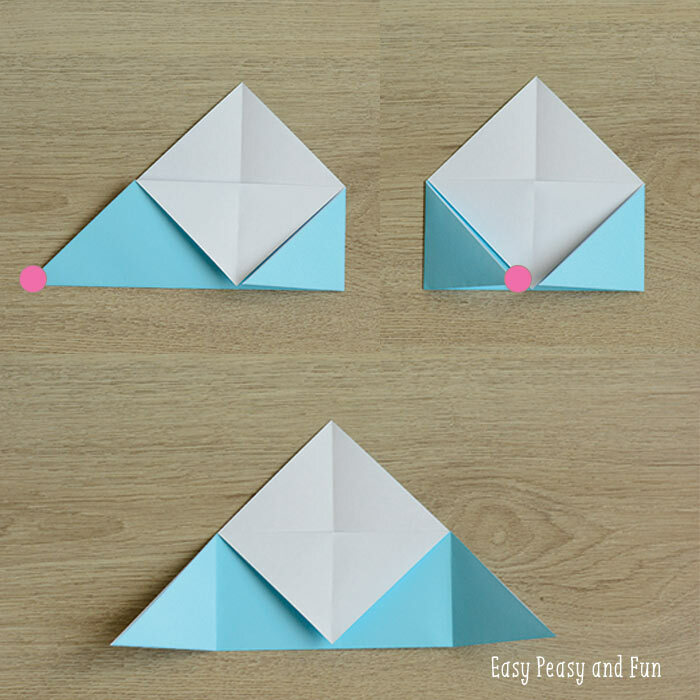 Grab the top of the triangle (pink dot) and fold it towards the bottom (as shown on the image above). 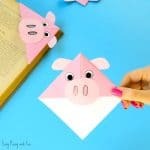 Now grab one of the corners of the triangle (left on or right one) and fold it towards the middle as indicated by the pink spot on the image above. Do the same with the other corner and unfold both. Grab the corner again, this time folding it towards the top. 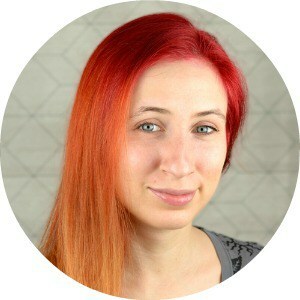 Do the same with the other one. 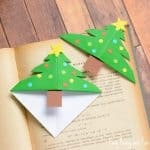 Now grab one of the “flaps” and tuck it inside the bookmark. Do the same with the other. 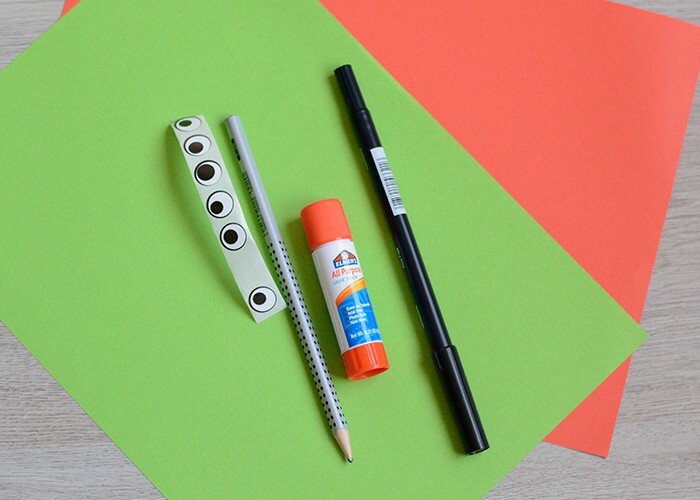 Take one eye sticker and make a “frog eye” outline on the green paper. Cut two and stick on the eyes. 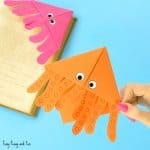 Cut a long tongue with a pointy triangle on one side out of red paper. 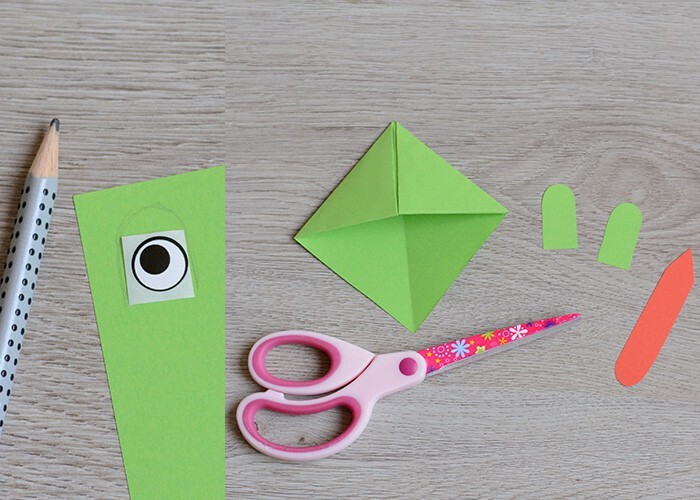 Glue all decorations onto your frog corner bookmarks. Draw nostrils and you are done. 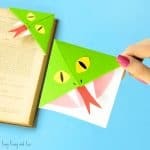 One of our favorites are these monster origami corner bookmarks. Also check these cute ladybugs. 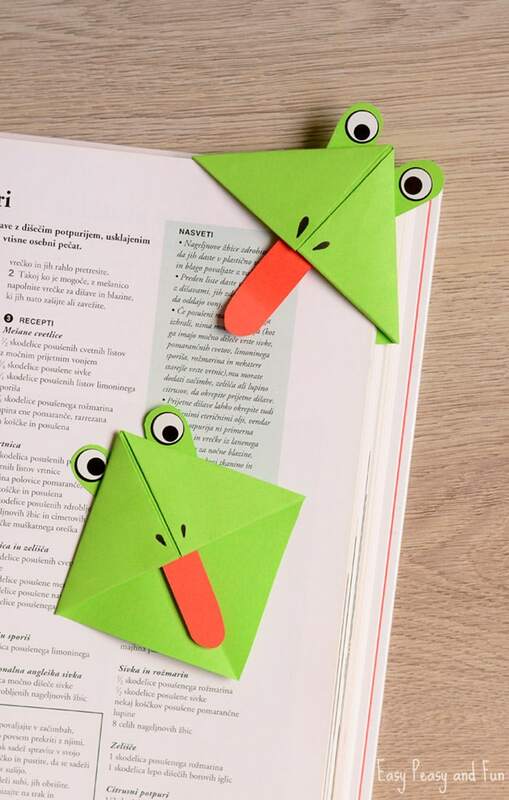 We got quite creative with this hedgehog bookmark too. The craft are so beautiful. helpful in teaching class too I want more! Thank you.